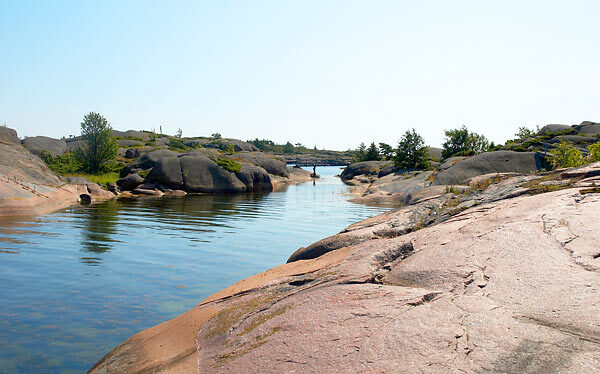 The panorama has been shot from the foreland of Hauensuoli (or Gäddtarmen is Sweden) island. It's name could be translated as "pike's guts". The harbour and town Hanko with it's church and watertower are seen.